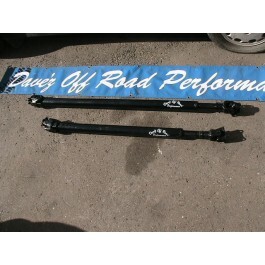 We have long travel front drive shafts for $350 ea up to 18" of travel. We also offer the stock to make your own. Because we dont use a c.v a triple drilled front t case flange will be required or drill 4 new holes in your old flange. New triple drilled flange. Last edited by Dave on Fri Nov 24, 2006 2:01 pm, edited 1 time in total. The splined shaft is already turned down to fit the stock yoke after you cut the female sleeve off. 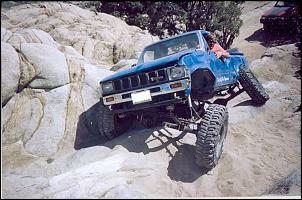 Drive shafts/if you would like us to build it for you and bolt her in..all we need is a flange to flange measurement. 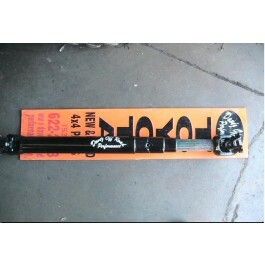 Balanced rear drive shaft heavy wall tube with out C.V. $200. With C.V. $250. Ready to install. Universal Joint Meritor MXL - M676X Part no: M676X SKU: 22245 Brand: Meritor MXL uni joint. 1810 series half round.